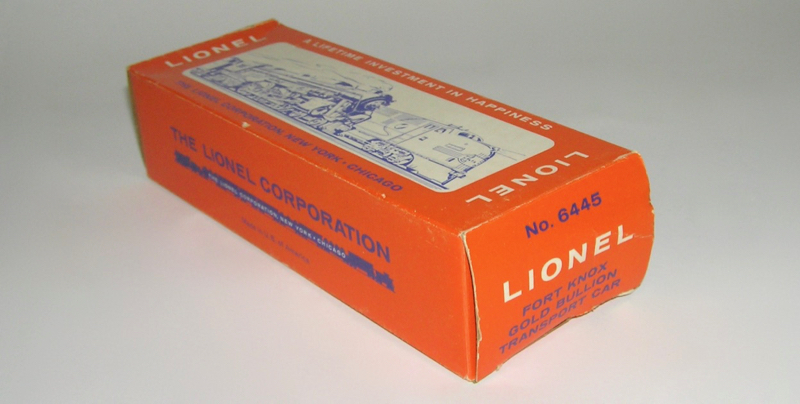 High Grade Unrun Lionel No. 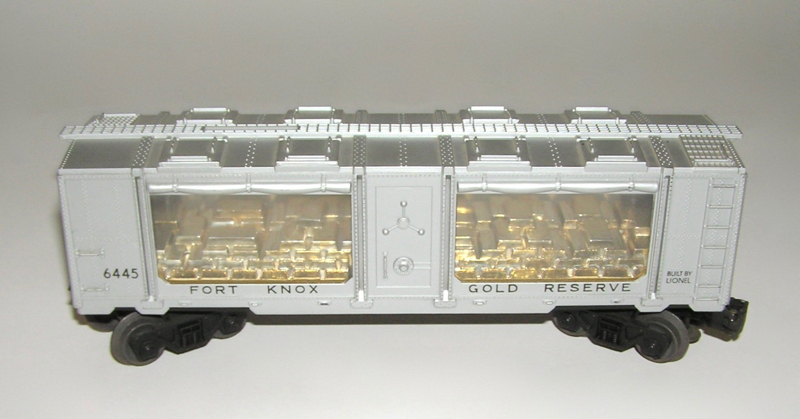 6445 Fort Knox Boxcar - Nice! 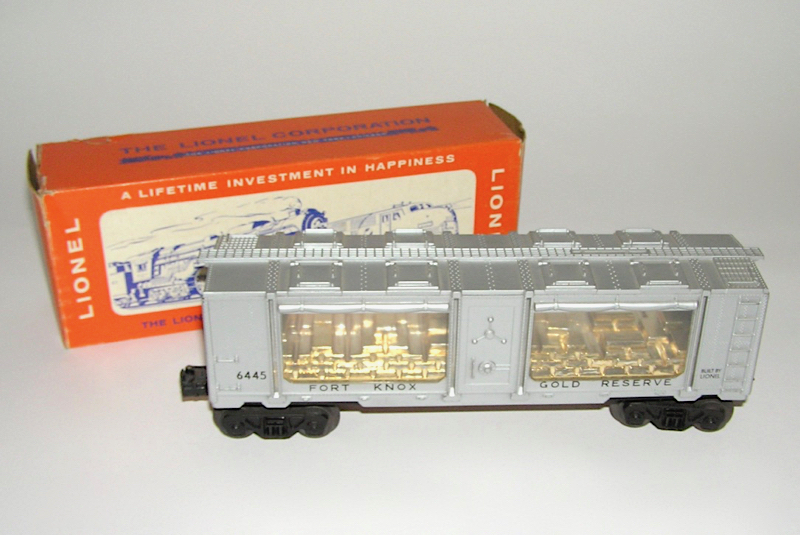 Here is a great looking piece - the Lionel No. 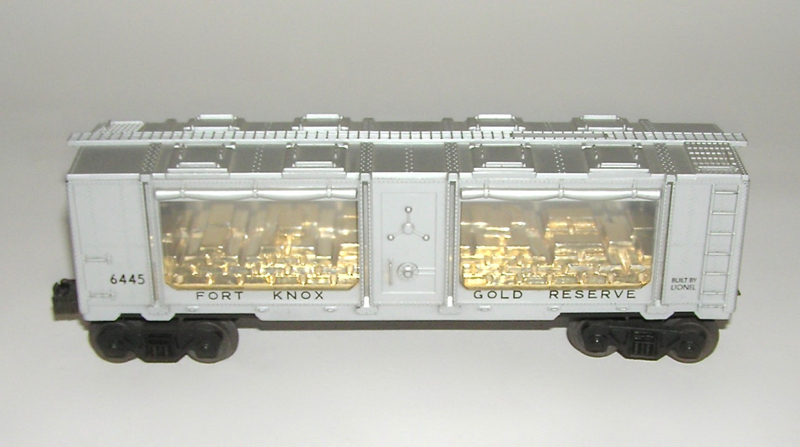 6445 Fort Knox Gold Reserve Boxcar. 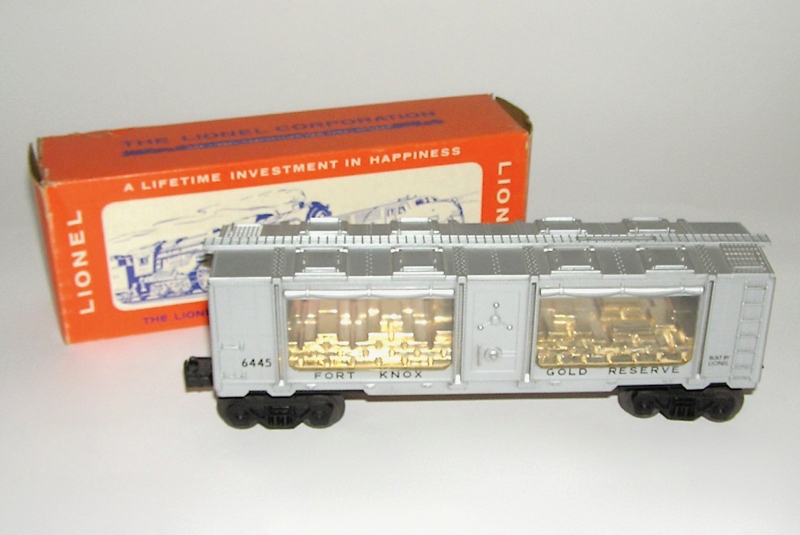 Cataloged 1961-63. 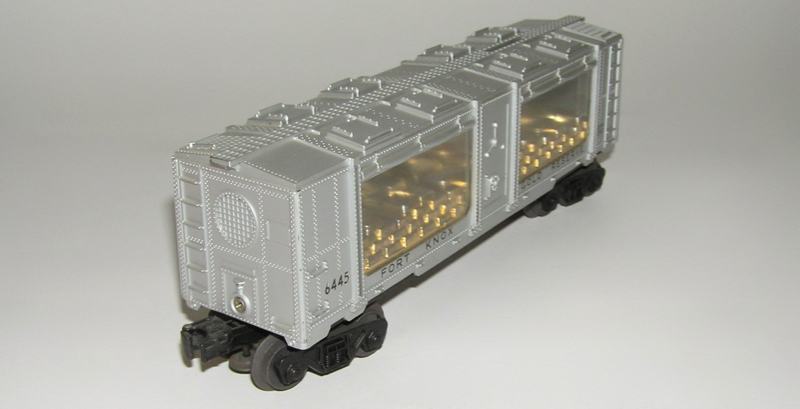 The car is in like new unrun condition. 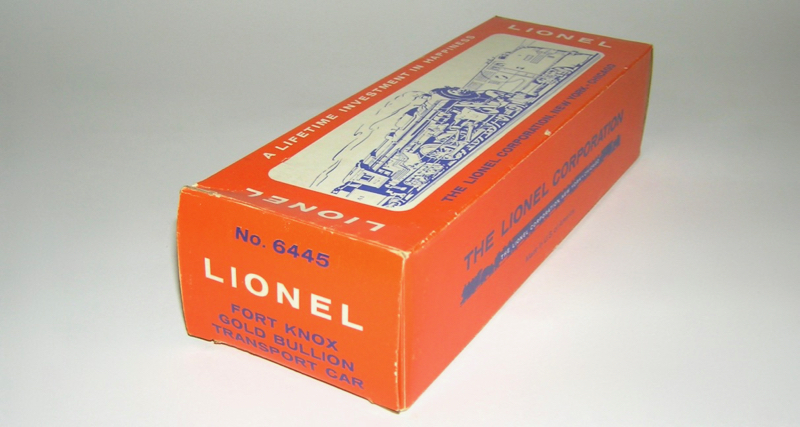 Box has a small tear on one side. Don't miss.